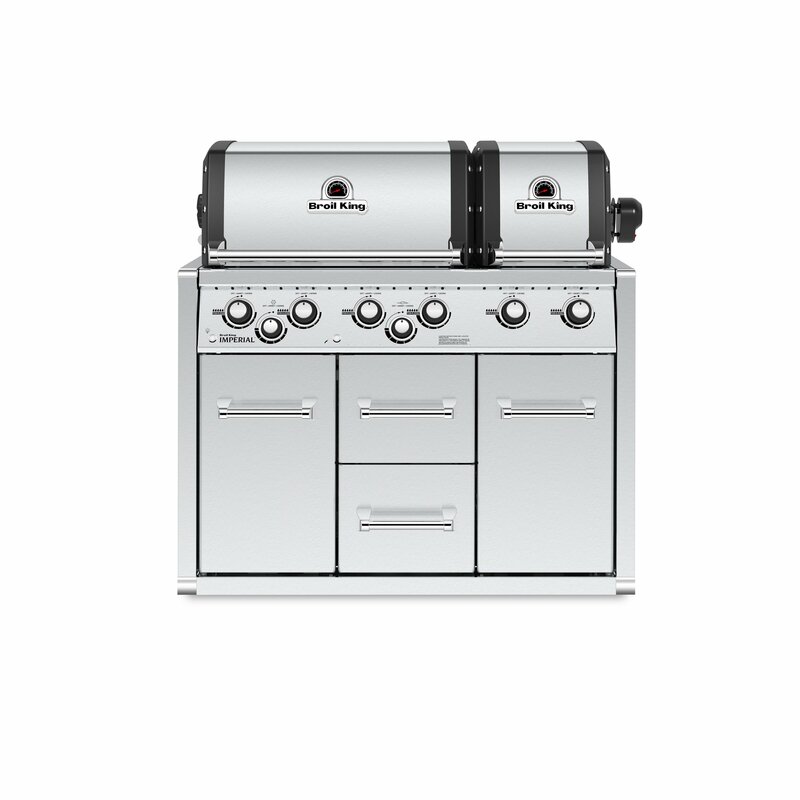 Inspired by professional cooking appliances, Broil King® Built-In cabinet grills are available in 4, 5 or 6 burner configurations and come ready to install in any outdoor kitchen design. 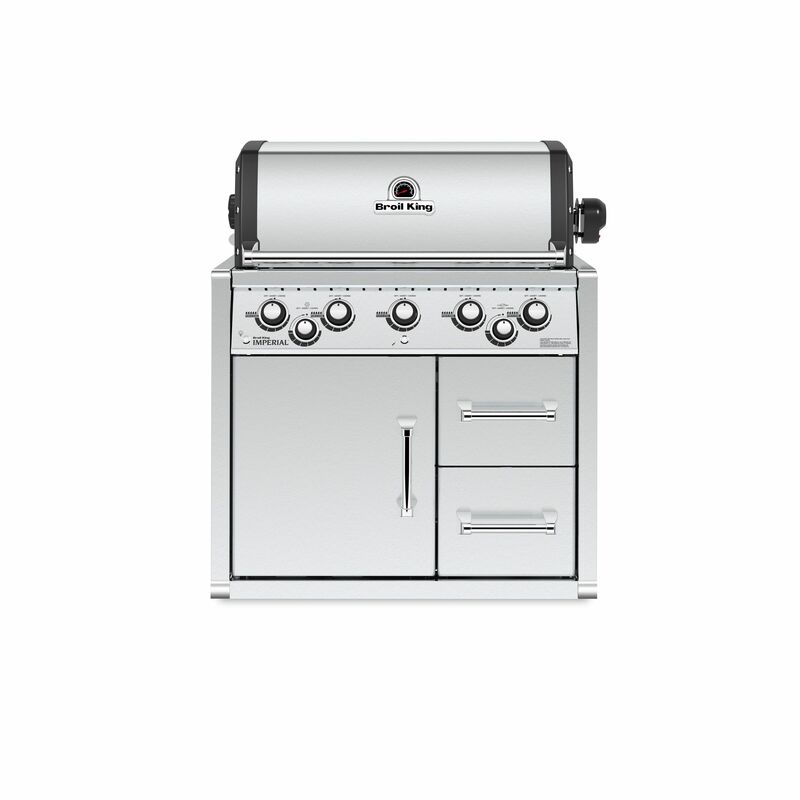 Constructed from North American made steel, these freestanding grills include a rigid cabinet base that is supported by sturdy resin leg-levelers. 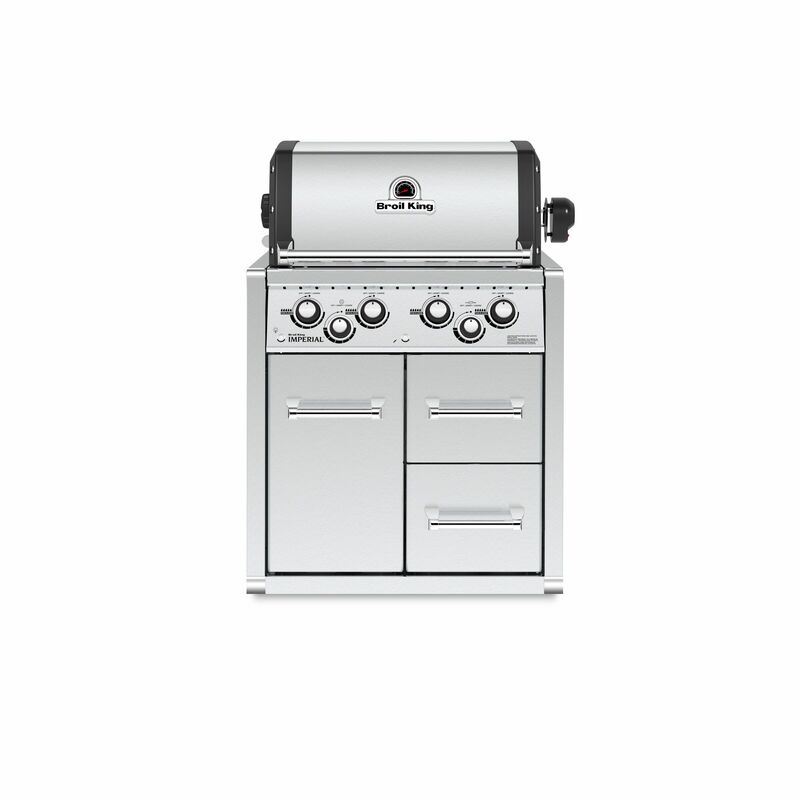 Standard features on the Broil King Built-In cabinet series include cast-stainless steel cooking grids, a powerful 10,000 BTU side burner, 15,000 BTU direct-flame rear burner, and premium rotisserie kit.